Is there a better alternative to Video Caption Maker? 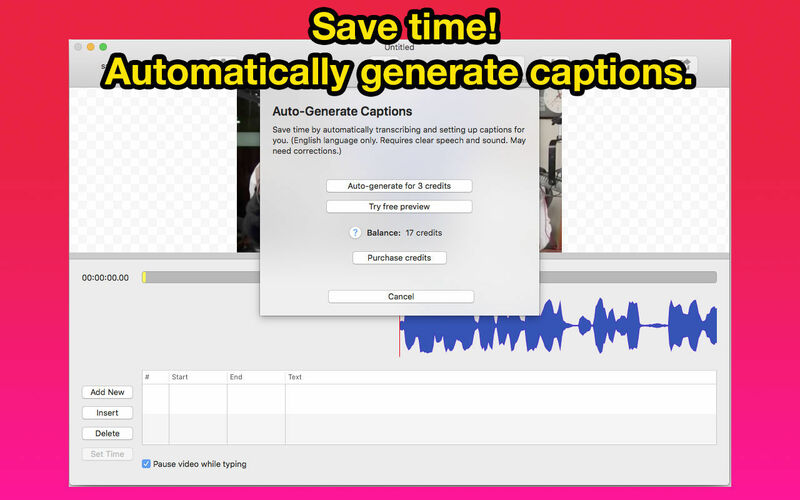 Is Video Caption Maker really the best app in Video category? Will Video Caption Maker work good on macOS 10.13.4? Video Caption Maker is an easy way to add text to video. 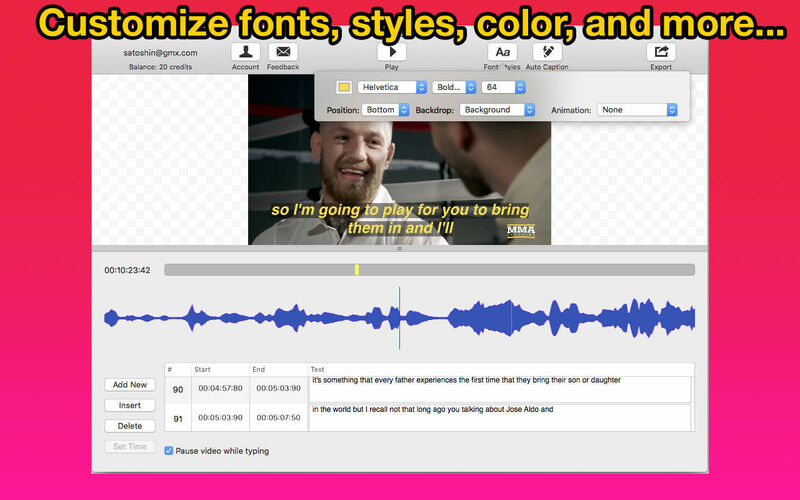 Customize fonts, colors, position and backdrops. Simply type the text out and set start / end times. A visual waveform helps you identify audio start and end times. Great for subtitles, interviews, social media content, etc. Video Caption Maker needs a rating. Be the first to rate this app and get the discussion started!